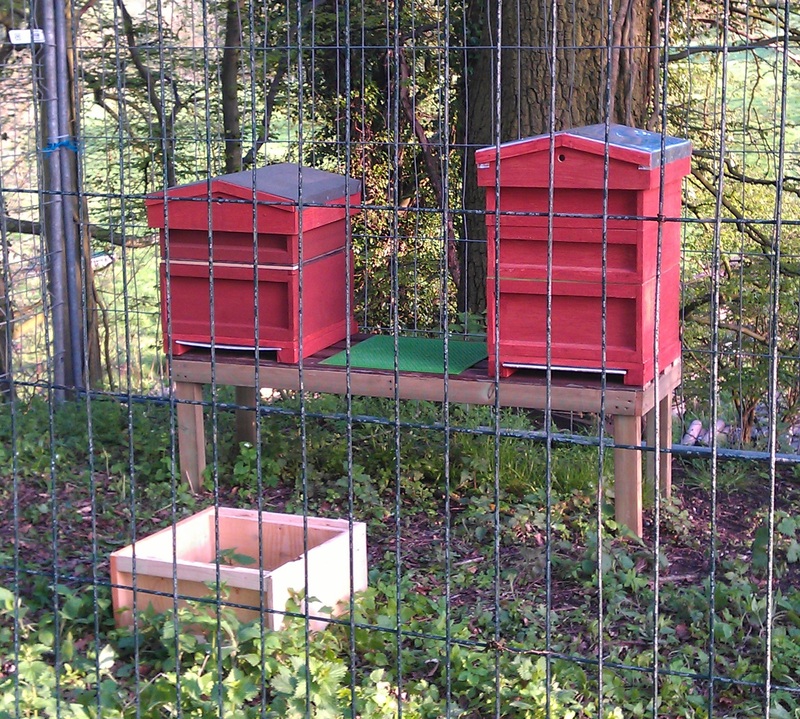 I have now only had my Bee’s for one week and I have already been asked to collect a swarm. The swarm had made its home inside a bird box that was outside, next to the kitchen window of a friend of mines parents. I waited until early evening before going to remove the bird box with the swarm in it. 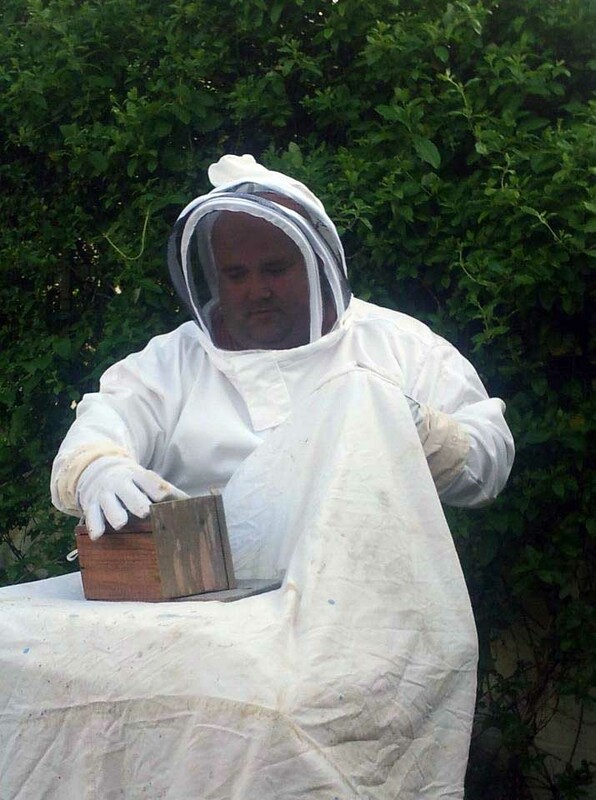 Everything went fine, you can see in the below photo, that I am just about to wrap up the bird box in a sheet to transfer the bee’s via a car to a hive owned by a friend of mine. 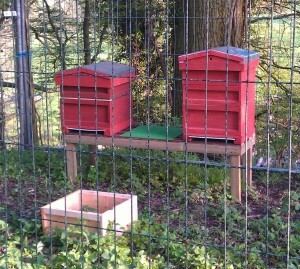 The next photo is the Bee swarm in its new hive, there are in the hive on the left.